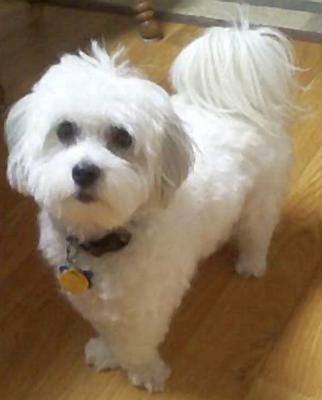 Happy fifth Birthday to my best friend Tuffy Coton!!! Tuffy is my best friend, my sweetheart, my healer. I love my Tuffy boy! 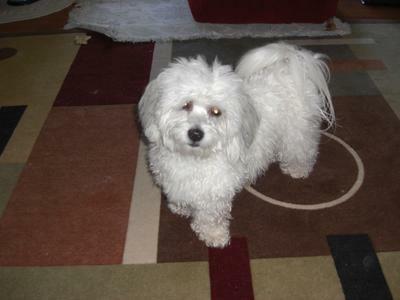 Comments for Happy fifth Birthday to my best friend Tuffy Coton!!! Happy birthday Tuffy. Love Diane and Spanky. Good health, happiness and prosperity for the new Year! I hope u had a wonderful Happy Fifth Birthday. I'm sorry the weather was not working in ur favor but I'm sure u had a loving day. Merry Christmas & Happy New Year to u & ur mom. 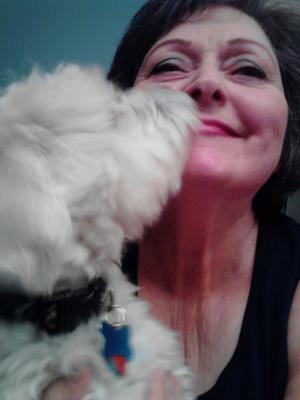 TUFFY YOU ARE SO HANDSOME..TRISCUIT AND I WISH YOU A WONDERFUL DAY, AND A HAPPY NEW YEAR TO YOU AND YOUR MOM. Dear Sherry, Gale, and Katherine and all, and your Coton puppas. Thanks so much for your kind good wishes. Tuffy is getting plenty of good treats today, chicken soup for breakfast, egg scramble with cheese treat, and hamburger for dinner. I even tried to walk him over to Tuffys friend's house a block away.We made it there, it was FREEZING COLD! and When we got there we couldn't get near the house or front porch, it was all ice on the path and driveway. I couldn't risk another fall, so we had to come back home. (sorry Tuff tuff, I know you miss little Enzo and Timmy, you puppy friends). We wish you a very happy birthday Tuffy. You are still as handsome as ever. What a blessing you are to your mommy. May you have a great year and keep helping mom to heal and recover. There is nothing greater than the devotion and love from our little Cotons! You just cannot help but be amused by your antics-even when they are not so good. Love to you both. Happy Birthday, Tuffy. Luc and I love to hear from you all year long and we know you take such good care of your Mom. Hope your day is extra special. Happy Birthday Tuffy! You're growing up so fast. I remember reading all about you when I first brought Murphy home. You are such a joy to your Mommy!